This year marks the 30th anniversary of Magnum Research, so now was the perfect time to introduce a new and improved look to the Baby Eagle III. The new series is sleeker and features an upgraded refreshing new design. The Baby Eagle is known by the industry as having one of the most reliable mechanisms in the world, and this is evident in the new Baby Eagle III Series as well. 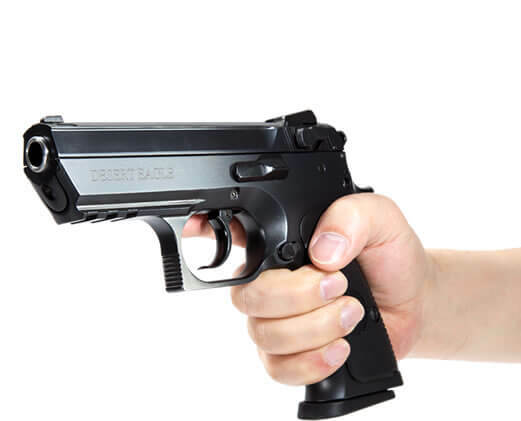 It features a precision land and groove match barrel, ambidextrous teardrop-shaped decocking mechanism on the slide, smoother trigger pull, fully interchangeable magazines with all Baby Eagle II models, and a reversible magazine catch for either left- or right-handed shooters. 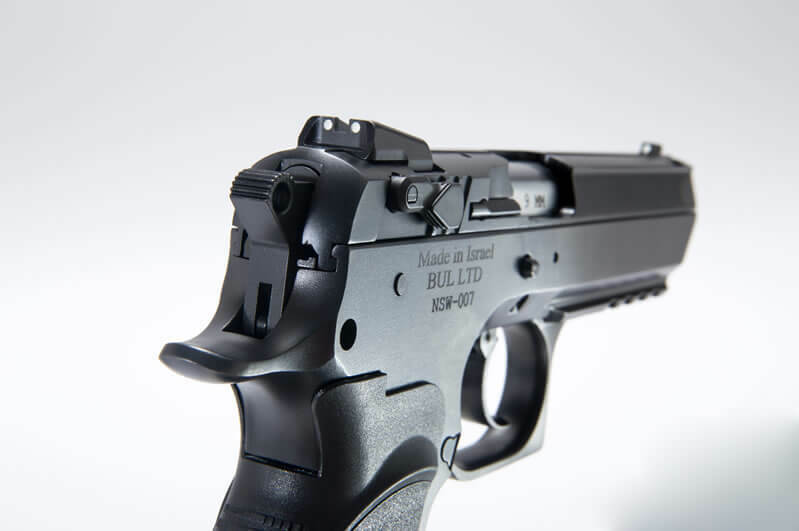 The integral tactical accessory rail makes it ideal for a variety of laser and light accessories. 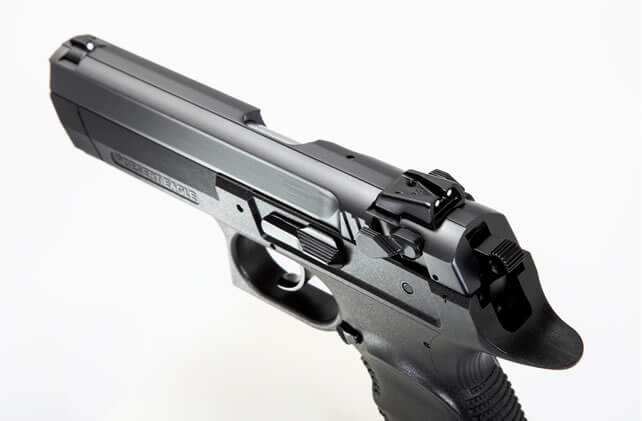 Magnum Research has also trimmed down the slide and frame making its shape even more like its big brother, the Desert Eagle, and the trimmer design gives it a lighter weight than previous Baby Eagle II models. The Baby Eagle III can be purchased in polymer or steel frame, full size or semi-compact, and in 9mm, .40 S&W and .45 ACP calibers. 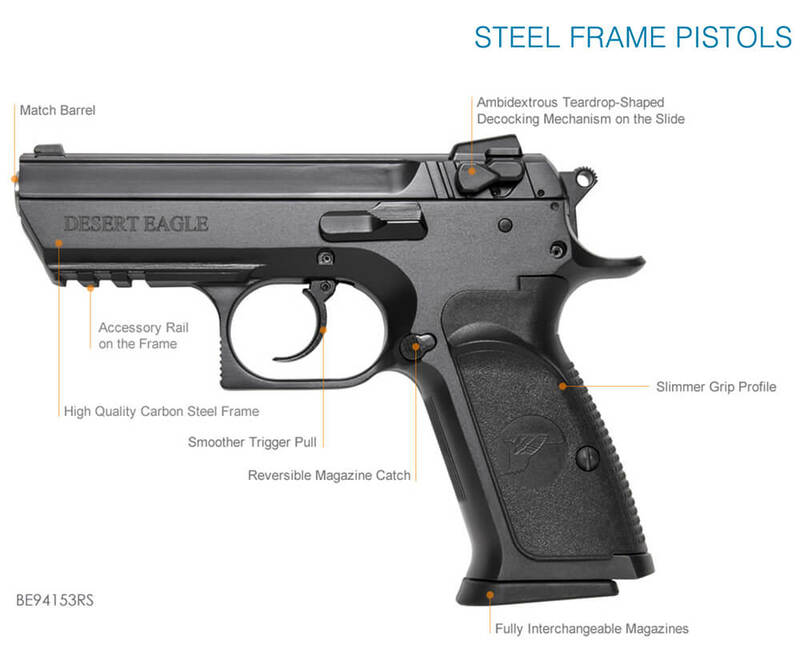 The full-size 9mm pistol with the steel frame weighs just 38.0 oz., measures 8″ in overall length, with a 4.43" barrel length, and slide width of 1.31". It measures 5.375" in height. The steel frame and slide are produced from high quality carbon steel with an attractive matte black oxide finish. The Baby Eagle III can also be purchased in a polymer frame with a black finish. 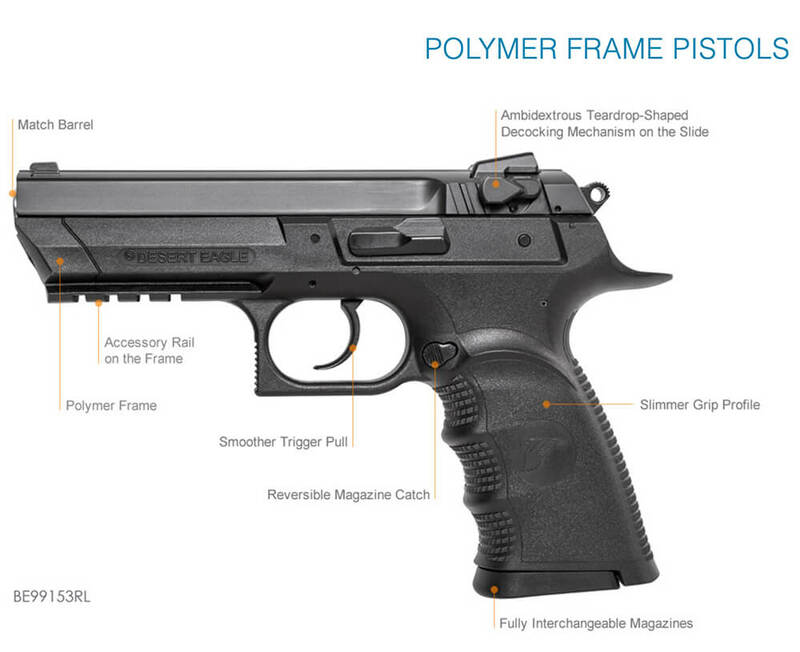 Other features include a double/single action (DA/SA) trigger with a 12 lb. 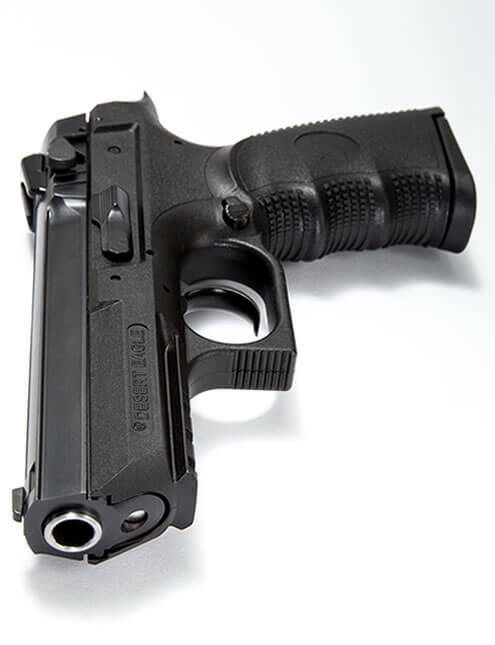 trigger pull (DA), or 4 lb. 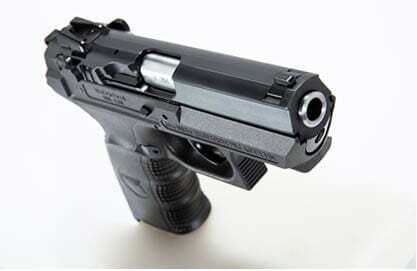 for single action. 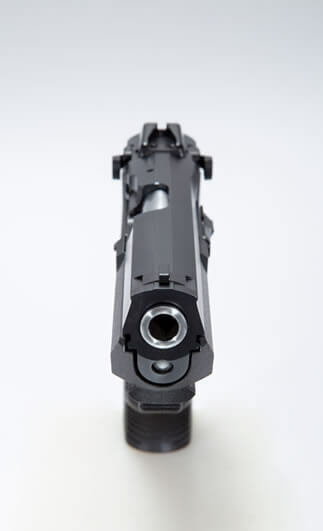 The rifling is right-hand twist, 6 lands and grooves, and combat-type, white three dot fixed sights. The Baby Eagle III ships with two magazines.